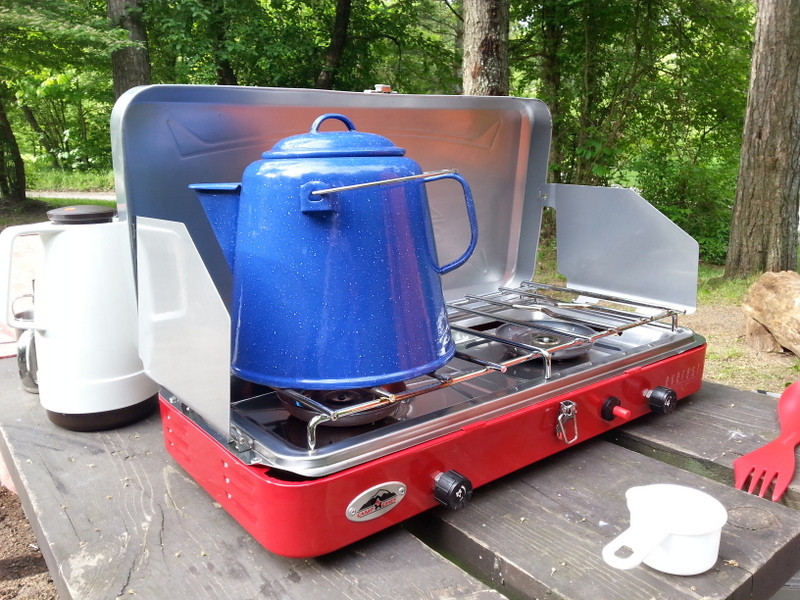 We love this stove – two burners (20,000 btu each), so it gets water boiling fast. Sometimes you just gotta go with power. Into the boiling pot goes nearly two cups of finely ground french roast coffee, and it steeps for a bit. Then, we pour thru a filter, directly into cups first, then the balance into a carafe. 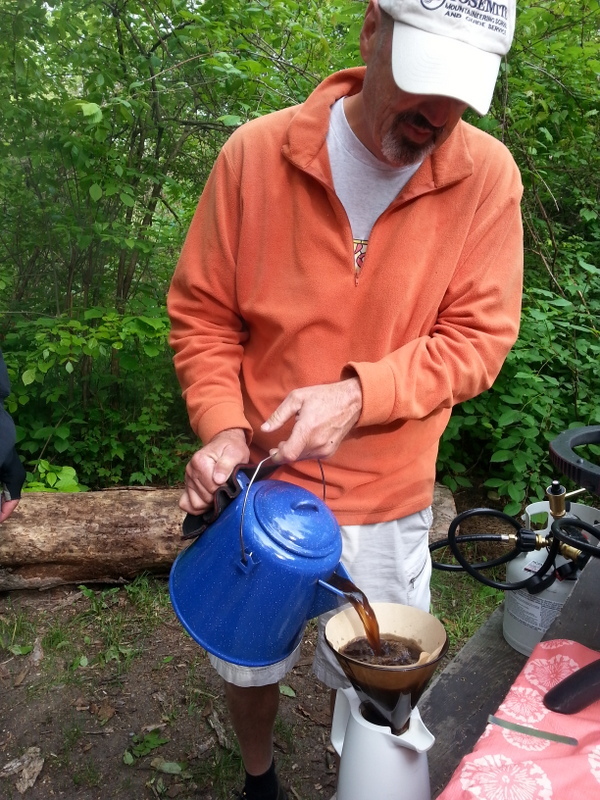 John figured out that we can keep the pot warm on the grill (needed the burners for other stuff), so going forward, we’re going to dispense with the carafe and go pot to cup. 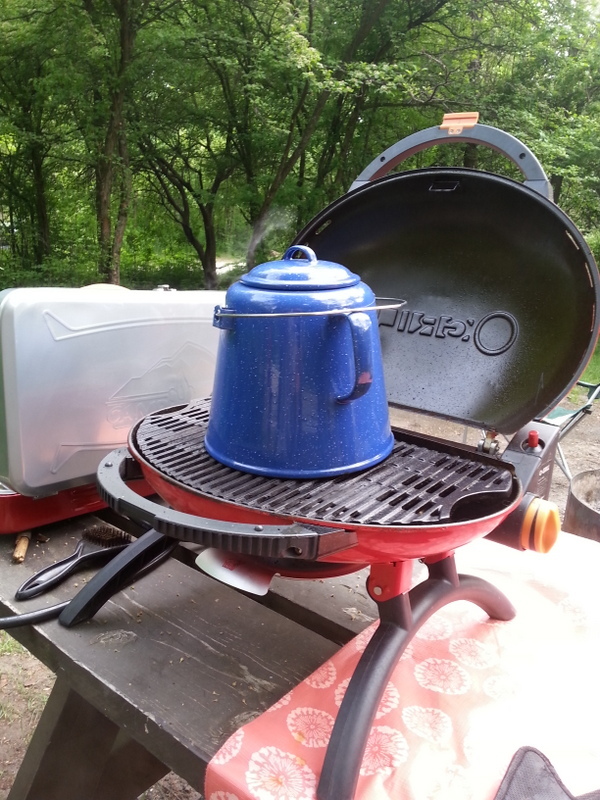 Who knew you could grill coffee? Joel, Susanne, and Brad are drinking the coffee as fast as we can pour. Joel, Susanne, and Brad – still smiling. Once the first gallon is gone, we decide to get serious about breakfast. 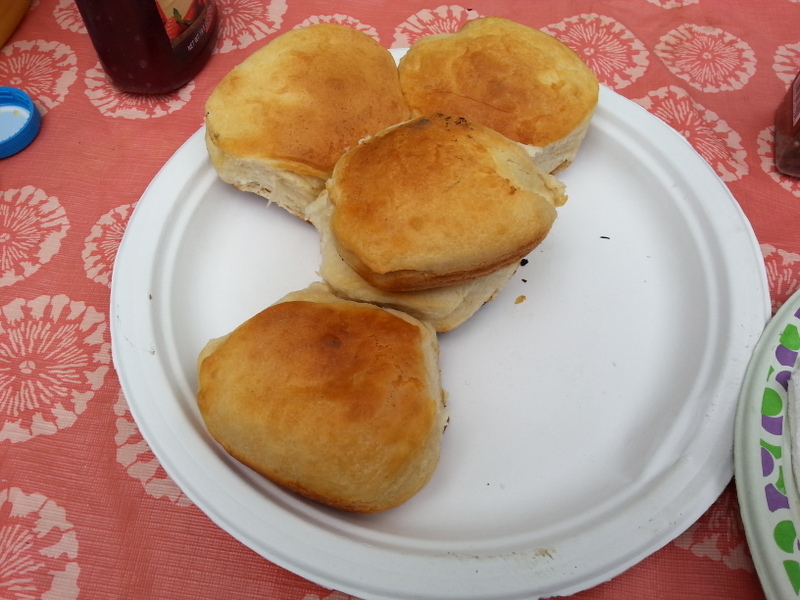 John’s a Dutch oven guy, so he gets biscuits going. Ready to eat w/honey or jam. We ate three pans full! A million scrambled eggs. Coffee cake. Orange juice. More coffee. 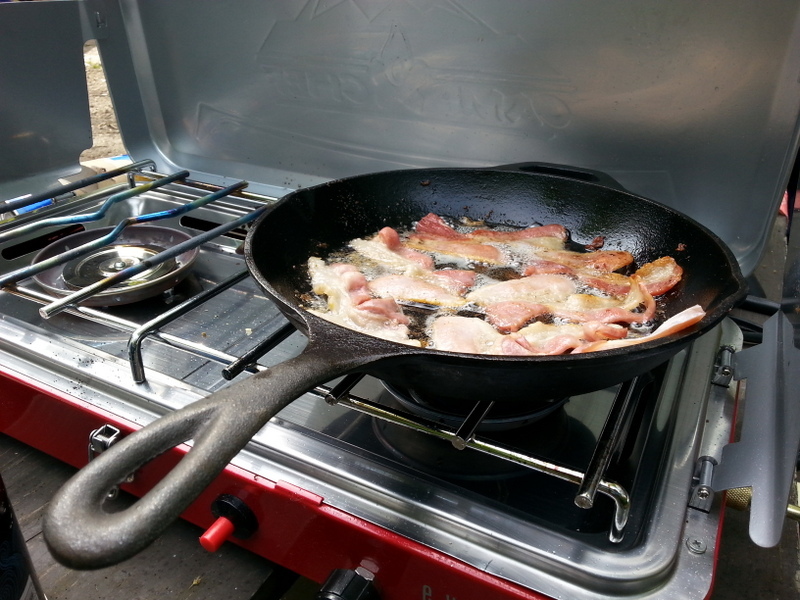 The bacon-y smell drifting across the campground gets others milling around, and pretty soon there are bodies everywhere eating. We’re happy – this is what we love to do. Four of the Shifters (Matt, Matt, Jason, and Bob) apparently begged Dawn to make food for them immediately, so when I wander down to their campsite to invite them down for breakfast, they’re already sound asleep. 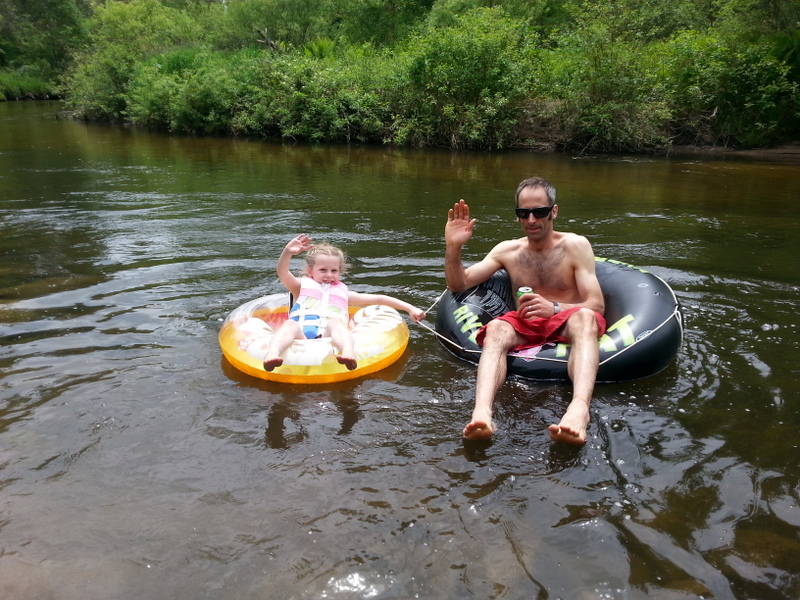 The day passes with tubing (kids never care about freezing water), socializing, and drinking beer in the sun. Matt and Marissa cruise past…. Brats, chili, more beer, and campfire all night. 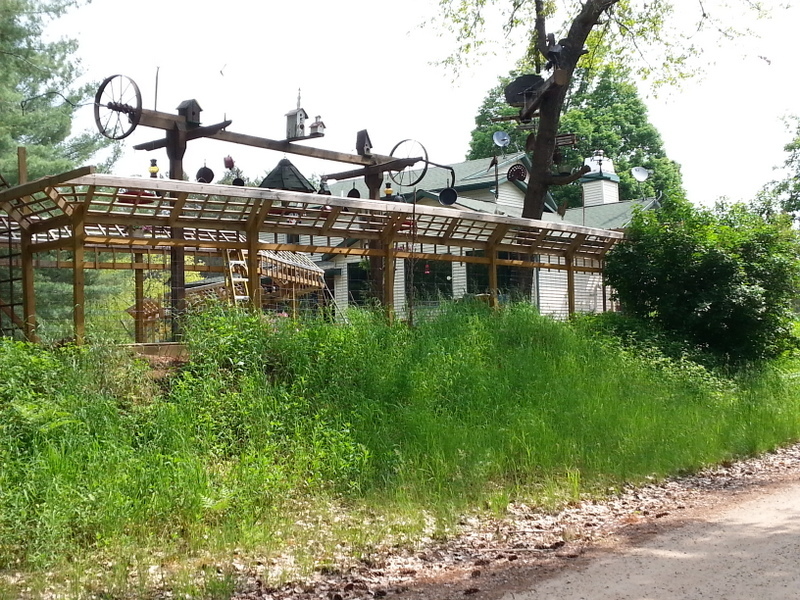 Seen along the trail in Luther – not sure exactly what this is. Everyone packs up & heads out the next morning. 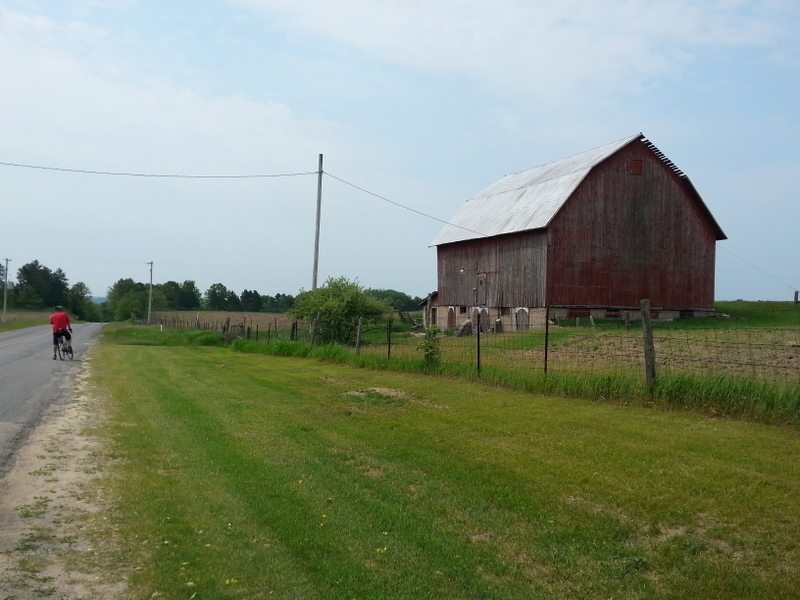 John and I linger a bit – it’s finally our chance to ride a few miles, so we haul the bikes out – check out a campground downstream, then ride back to Luther. Time to hook up & go home. Night Shift 2013 is over. Epic weekend. 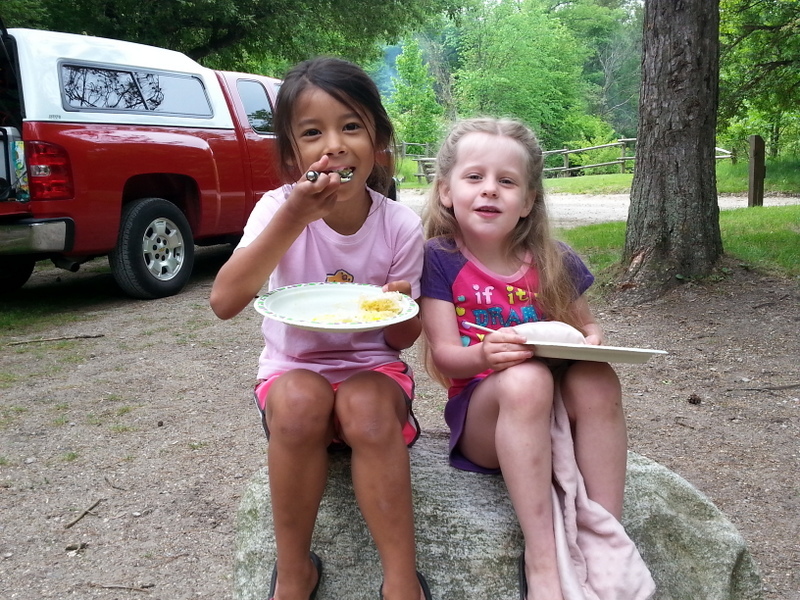 This entry was posted in cycling, family, food, great outdoors, Michigan, retirement, simple camping and tagged camping, cycling, food, Michigan, retirement, road trip, simple camping by Judy Crankshaw. Bookmark the permalink. epic weekend? I’d say so!!!! 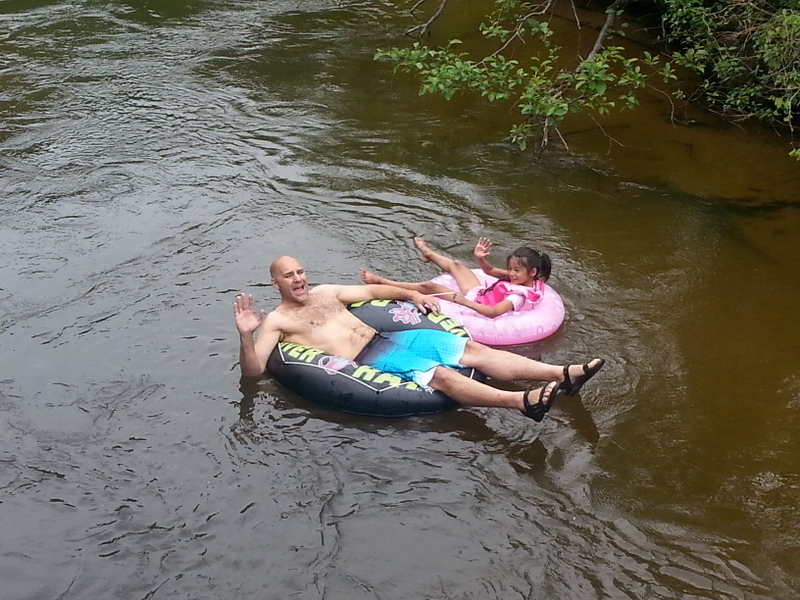 I’d dig a tub float…been a long time I’ve done that. 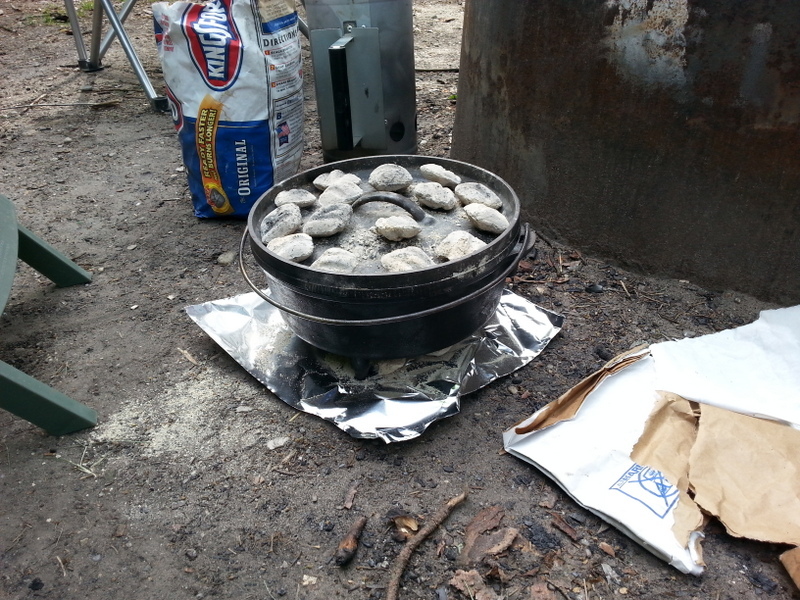 I really need to get a Dutch Oven. My sister in South Bend, IN…see getting hit hard with storms…edging MI. Hope all well your way! Lots of thunderstorms, but nothing severe here… whew. Dutch oven is fun – great desserts.